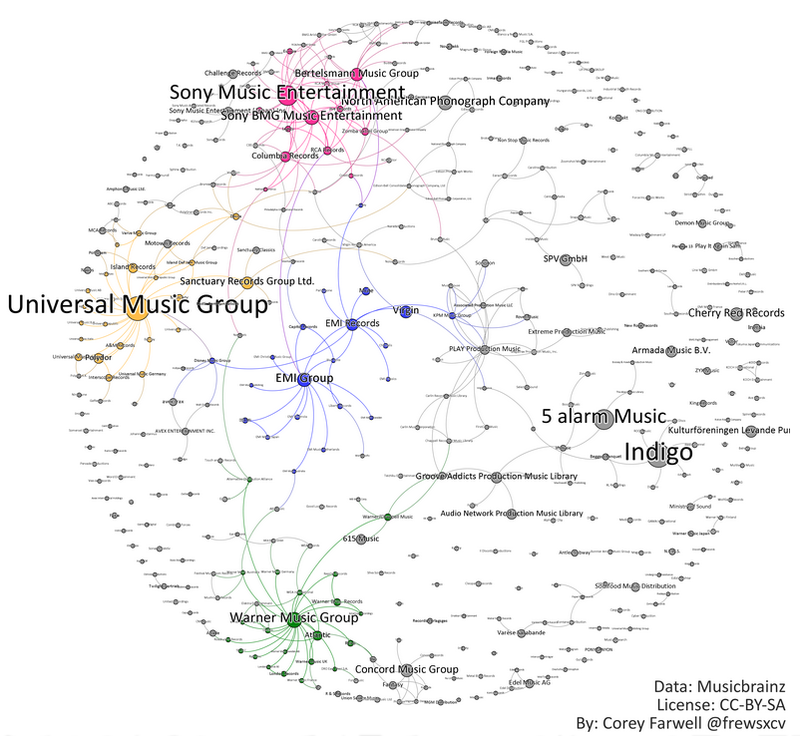 Corey Farwell presented at the SF Graph Database Meetup in July, where he discussed his app RIAARadar, that lets you search for any album, single or band and see if they are affiliated with the RIAA. While still in alpha stages, the dataset caused an animated discussion. Coincidentally, Farwell’s visualization of his dataset was also shown in another presentation that night, by Mathieu Bastian, the co-founder of Gephi and data scientist at LinkedIn for their InMaps graph visualization tool.